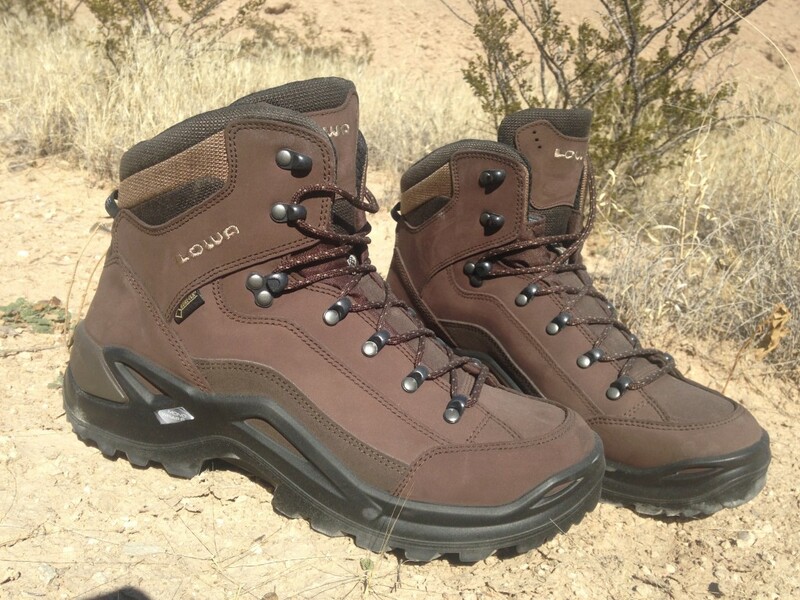 Recently had a pair of LOWA’s Renegade GTX boots shipped to me to try out. If they work out nicely these will be my hunting boots this fall. HOLY COW these things are LIGHT! The little food scale in my kitchen showed them at a feather-weight 2.42 pounds. Yes, that’s BOTH of them together. They’re comfy too. I have small feet. And by small, I mean tiny. It’s incredibly difficult for me to find boots that fit (unless I shop the women’s aisle…) my size 9AA narrow feet. Most boots sized for my foot length leave my feet sliding around from side to side no matter how tightly they’re laced. Not these. They fit like a glove. Now I’m off to go start breaking them in and do some training in the mountains of New Mexico. I’ll be doing a more in-depth review later. Loading Your Own Ammo: Is it for you? Heh. My proper shoe size is a 7.5EEE. I usually wear an 8-9 just to get the width. I’m looking forward to seeing how the boots treat you.